Happy Saturday I hope you’re all having a lovely weekend in the studio crafting away! Since the launch of PatternLab, we have been running a competition to give three lucky customers FREE LIFETIME access to all of our Basic blocks and tutorials for life. The competition was to take our survey and answer 10 simple questions, to help us better understand you and what you want to see from PatternLab in the future. We’ve had a huge response and it’s been an eye opening experience reading all your comments, suggestions and feedback. I would like to thank everyone for taking part and sorry if you are not one of the three lucky winners. We will be holding more competitions in the future, so don’t worry you will get another chance! So without any further delay and in no particular order, we would like to congratulate (drum roll please) Pheadran, Alice Ray and Ella Moore. 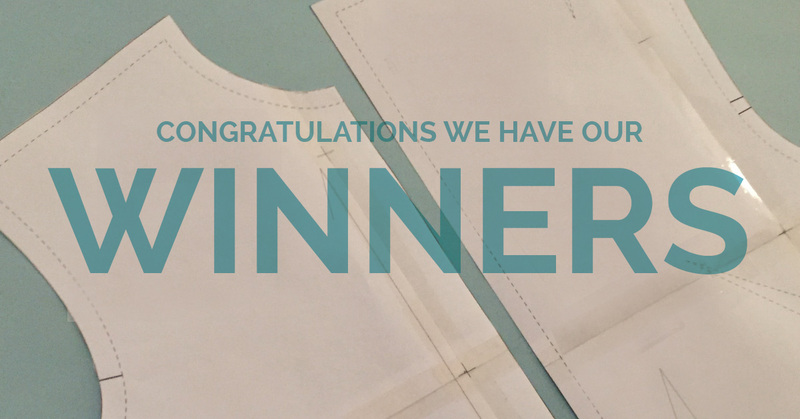 We have sent you a lovely Winners newsletter with how you can claim your amazing prize! That’s it guys! Enjoy the rest of your weekend and stay posted for more updates on the PatternLab, alterations to the basic Bodice block and the arrival of our basic skirt blocks. I’m dying that I missed this contest. I love the site and pattern generator! Not to worry, we’ll have plenty more in the future once we’ve relaunched! In the meantime enjoy our free production blocks. Congrats to the winners and thank you Ralpy.